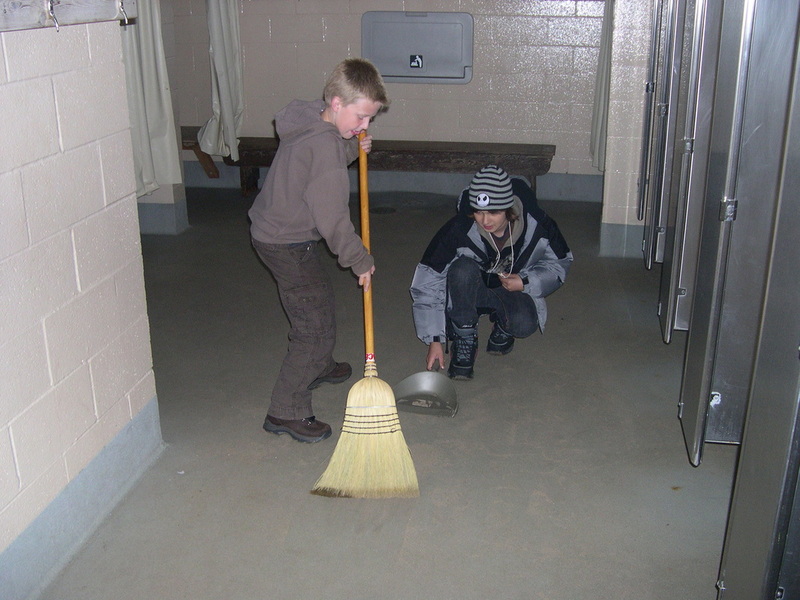 Each day, every cabin group of students is assigned one or two camp duties to do together as a group. With a staff member facilitating each duty (which we refer to as a niche, in keeping with our nature education), cabin groups help pitch in to do their part to keep the community of the outdoor school site running smoothly. Duties include setting tables in the dining hall before meals, cleaning up the dining hall after meals, composting & recycling, bathroom cleanup, flag ceremony color guard, weather presentations, and more. Duties are short, easy and the staff usually make them fun, too!